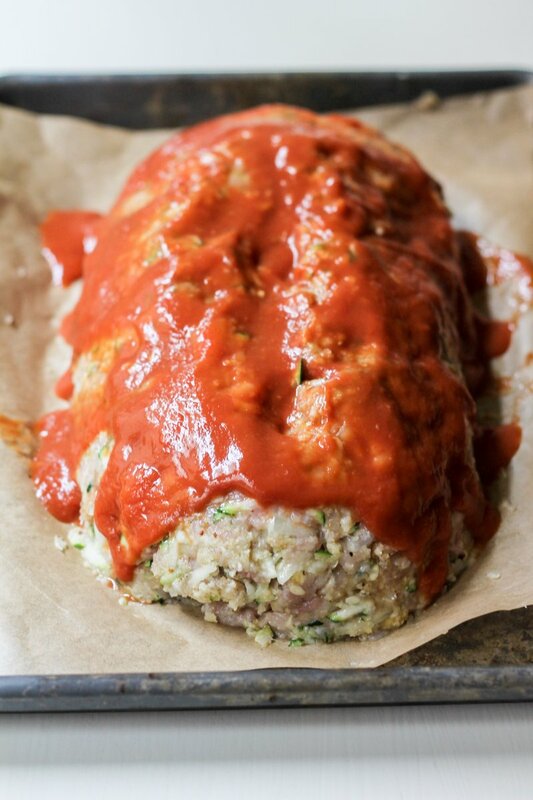 HEALTHY LOW CARB Turkey Zucchini Meat Loaf stuffed with pepper jack and topped with the most delicious sauce EVER! Zucchini, zucchini, ZUCCHINI. It’s taking over my life. I’m not sure I mind so much, but I can tell you that I’m getting sick of shredding the zucchini. I have a few more to use up but after that I don’t think you’ll see another zucchini recipe from me in quite sometime. My right arm physically hurts from zucchini shredding syndrome. Yes, it’s officially a syndrome (in the AK book anyway). 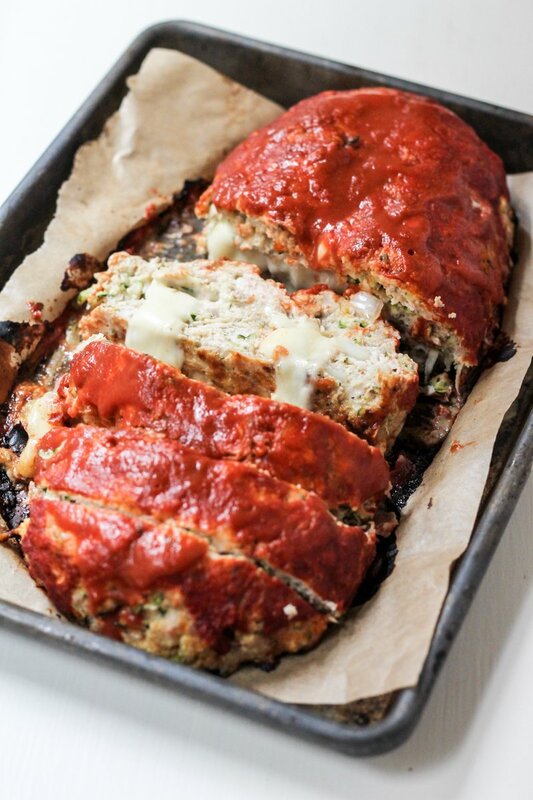 I realize I’ve been doing various baked goods with zucchini so this time I wanted to bring you something a little savory like this turkey zucchini meatloaf. I decided that adding some zucchini to a turkey meatloaf would not only be a great way to get my veggies in, but also to add moisture (since I use lean turkey). And as if that wasn’t enough, I just had to throw in a little pepper jack in the middle because I’m all about a little kick. It’s funny, I actually don’t consider pepper jack to be spicy; my Mom used to serve jalapenos at nearly every meal so I think my taste buds have adapted to the point where I can pour oodles of Sriracha on my meals without any effect. Not sure if that’s a good thing or not? 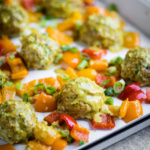 So, for all of you mamas out there or meal preppers this is a fantastic healthy recipe and makes terrific leftovers. I was chowing down on it for a few days with a nice sweet potato on the side. And please don’t put that Heinz corn syrup stuff on your meatloaf. Yes I just said that; don’t hate me! I’m a HUGE fan of ketchup (as in I put that sh*t on everything and I don’t buy Heinz), however you can easily make delicious EASY homemade awesome meatloaf sauce yourself. Trust in the power of this recipe. Okay now I’m craving brownies and have more zucchini waiting. Wish me luck. If you make anything from AK, be sure to tag #ambitiouskitchen on Instagram — I love seeing your creations and featuring followers! You can also find me on Facebook, Twitter, Pinterest and Snapchat (username: ambitiouskitch). Preheat oven to 375 degrees F. Line large baking sheet with foil and spray with nonstick cooking spray. In a large bowl combine turkey, onion, zucchini, garlic, egg, breadcrumbs, spices, mustard and salt and pepper. Use your hands or a large spoon to mix until well combined. I find that it's much easier to combine the ingredients if you use your hands. Place half of meat mixture on foil-lined pan and shape into a 10x4 inch rectangle. Top with pepper jack evenly, leaving about an 1/2 inch of room on the sides. Top with the remaining meat mixture, enclosing the cheese completely and sealing the side together. In a small bowl, whisk together tomato sauce, apple cider vinegar, honey, mustard, soy sauce and hot sauce if desired. Spread half of the awesome sauce on top of the meat loaf, reserve other half for when meatloaf is finished baking. Bake meatloaf for 45 minutes to 1 hour or until meat thermometer reads 160 degrees F. Top with remaining sauce and allow to cool for 10 minutes before cutting into 6 slices. 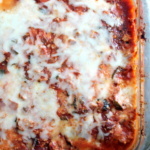 54 Responses to "Pepper Jack Stuffed Turkey Zucchini Meat Loaf with Awesome Sauce"
Awesome sauce? Stop. It’s too good. Say what? This looks absolutely insane!!!! I want some of this! I love that I can hide zucchini in this and my kids will just think about that delicious cheese inside! Great idea! Girl, this looks amazing! I can never get sick of zucchini but the repetition of shredding… Have you tried just pulsing it a couple of times in a food processor? It may cut time down! 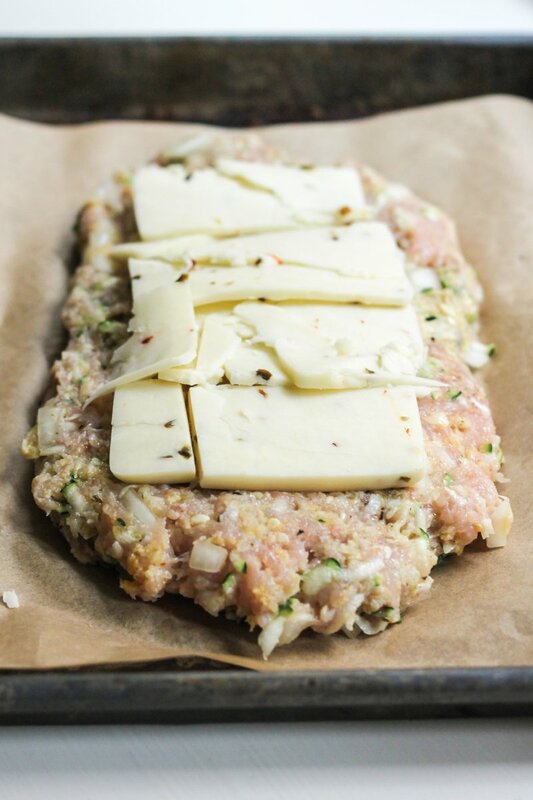 Growing up, my mom always put a little cheese in the middle of meatloaf. It was my absolute favorite meal! 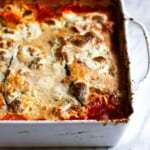 I am loving the addition of zucchini in this recipe. What a great idea! I’m not a fan of cheese. Would this recipe still be good without the cheese? 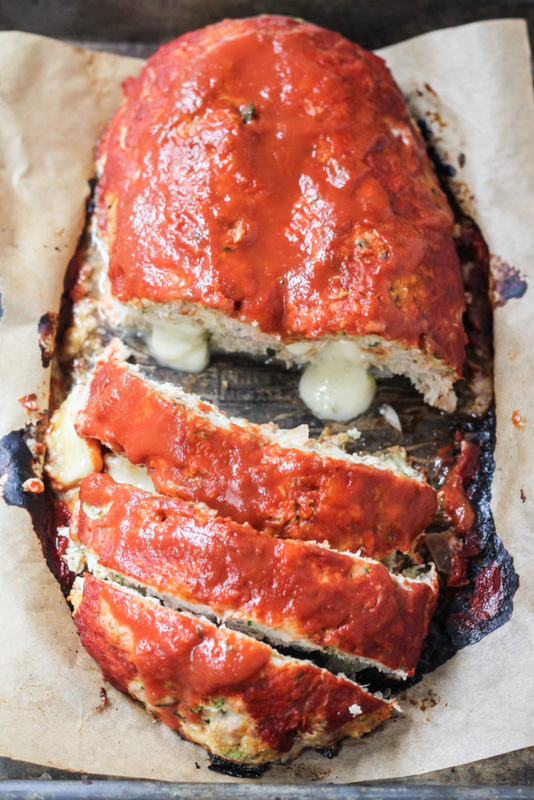 I love the addition of zucchini in this meatloaf! And with that pepper jack cheese, give it to me. Oh wow!! This looks freaking delicious!! As Josh is a vegetarian I’d be making this to eat solo. Do you think it would last long enough for me to get through it all or would you recommend freezing some to eat later? I think you could easily finish this off yourself. I did because it was that good, but sometimes I know it’s annoying to eat the same thing for 4 days in a row so freezing is definitely an option! 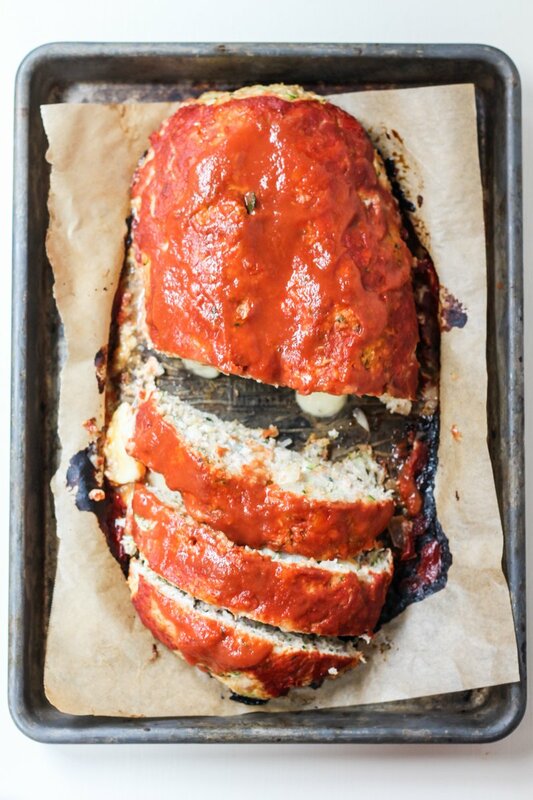 That is one stunning meatloaf!!! Love the cheese layer…how clever! This looks unreal! What a great idea to throw a little cheese in the center. I cant wait to try it. Thanks!! Yes girl yes! This meatloaf looks killer! You totally got me hooked on adding shredded zucchini to everything – my right arm blames you lol! My hubby loves meatloaf so I’m for sure going to have to add this one to our menu! Great recipe! I will definitely be trying this. I love the twist you’ve put on it! Oh and, CHEEESE! Yes!! YUM–these ingredients are so good! I made this for my hubby on Saturday night and he lost his mind!! THIS WAS SOO GOOD! The only thing I did different was shredded the onion as well – I like how it makes the texture more uniform. This is definitely now on our regular roster!! Why can’t this be delivered via snapchat or another non mail service? Also..zucchini shredding is a bloody workout. It’s like bent over rows, but worse. Just made this last night and it was delicious — my husband also loved it! Definitely need to work on my sealing technique, though, as a decent amount of the cheese oozed out while cooking. Oops! Although it did end up turning into crispy, slightly burnt cheesy goodness that still tasted amazing 🙂 Will be making this again for sure. Always on the lookout for a good meat loaf, but not sure I’ll make this exactly as is again. Love the idea, and especially love that it’s not made in a loaf pan. Gives you more crispy edges, yum! And the cheese in the middle! But for us, it was kinda bland. Oh! And I was loose with the dicing, which was a bad idea. I definitely think the smaller the chop, the better. Thanks for the recipe and the lesson learned on the onion! Hi Monique…thanks for sharing your recipe. I’m always looking for creative methods to cook ground turkey. Question about the topping…what do you use for the “tomato sauce”? A regular small can of tomato sauce (Delmonte for example)? 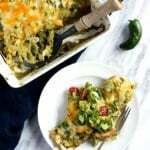 Hi Monique, I just wanted to let you know I featured this recipe in my Low Carb Gluten-free Zucchini Recipes roundup. I hope you’ll get some visits coming your way! I made this last night for my husband, who was very skeptical of this recipe and stated “can’t we just have regular meatloaf?”. I took it out of the oven and before I could even snap a picture he was digging in! He ate 3 huge slices and wants me to make it again next week! Excellent flavors and textures! My only change would be less cheese in the middle (says the WI girl). Thank you for the recipe, we will definitely be having this again. This is such a hit with my family that it’s part of the regular rotation. 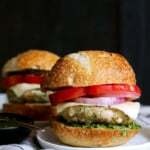 Even the “veggie squeamish ” and turkey naysayers love it! The cheese and the sauce absolutely make it. Have had this recipe on my list for forever and I finally got to it tonight. Delicious! Will definitely add it it to the regular roster. Thanks Monique! Hi, this looks amazing ! I’m planning on making it this weekend for family dinner with my parents. I was wondering if you could tell me the serving size and carb count? Hi Aletha! The nutrition info has been updated in the post above 🙂 Hope you all love this one! My husband and I embarked on a low calorie lifestyle 3 weeks ago. I have downloaded SO many recipes from your site. I spend my entire Sunday, early morning and afternoon, preparing the next 7 days’ meals. I LOVE it ! It’s what’s for dinner tonight, so I’m hopeful that I it will make my taste buds dance. I’m so glad you’ve been loving recipes here, and am sorry to hear that you were disappointed with this one! I make this (and variations of it) often. I hope you enjoyed it with your new seasonings, and feel free to amp up the listed spices here next time too. going to try this for dinner the weekend. really hope its as good as it looks. Just made this – a double batch. Absolutely delicious! Big thumbs up from the hubby, too. Can’t wait to have the leftovers. Amazing! So glad you both enjoyed. I am in love with the idea of creatively putting veggies into meal entrees. Especially if it’ll cause my kids to give me the “You did what? !” look. So, when I saw this creative recipe with the delicious looking picture, I was sold. Made it! And total waste of my time and money. Honestly, it reminded a family member of jail food. Everyone else agreed. Even tried to feed it to the dog. She wouldn’t even touch it. SO. GOOD. I always struggle making ground turkey based meals because I never get enough flavor into them. 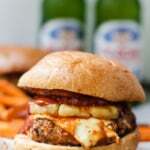 This recipe corrects that for me – so incredibly flavorful and deliciously cheesy. Adding this to our dinner rotation immediately. So happy you found this one! 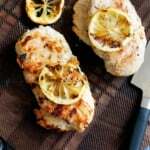 Try these recipes next. TONS of delicious flavor in all of them.